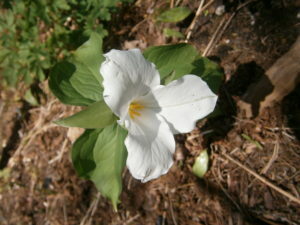 But contrary to this promise, last week the Government of Ontario introduced Bill 66, the Restoring Ontario’s Competitiveness Act which, if passed into law, will permit municipalities to pass special zoning bylaws allowing office buildings, factories, stores and houses to be built anywhere in the North Gwillimbury Forest and within the Greenbelt Protected Countryside. Unbelievably, these special bylaws could be passed without public notice, without a public meeting, and without any opportunity for appeal. Ontario does not need to sacrifice the North Gwillimbury Forest and the Greenbelt to create jobs and grow our economy. Nor does it need to sacrifice the Oak Ridges Moraine and Lake Simcoe, also in Ms. Mulroney’s riding and whose protection plans can also be overridden by these special bylaws. There is plenty of land in the Greater Toronto Area that is already zoned for new factories, offices, stores and homes. If Bill 66 is passed, industry will be able to bypass drinking water source protections under the Clean Water Act. This change would weaken critical protections passed in response to the Walkerton tragedy, in which contaminated drinking water killed seven people and made thousands of people ill. Section 39 of the Clean Water Act, 2006. Section 20 of the Great Lakes Protection Act, 2015. Section 7 of the Greenbelt Act, 2005. Section 6 of the Lake Simcoe Protection Act, 2008. Section 7 of the Oak Ridges Moraine Conservation Act, 2001.Bypassing Section 39 of the Clean Water Act means that any new residential development would not have to conform to source water protections. The other exemptions in the bill, noted above, would allow for any protections of water bodies afforded therein to be ignored. Furthermore, Bill 66 seeks to repeal and revoke the Toxics Reduction Act, 2009, as of December 31st, 2021.